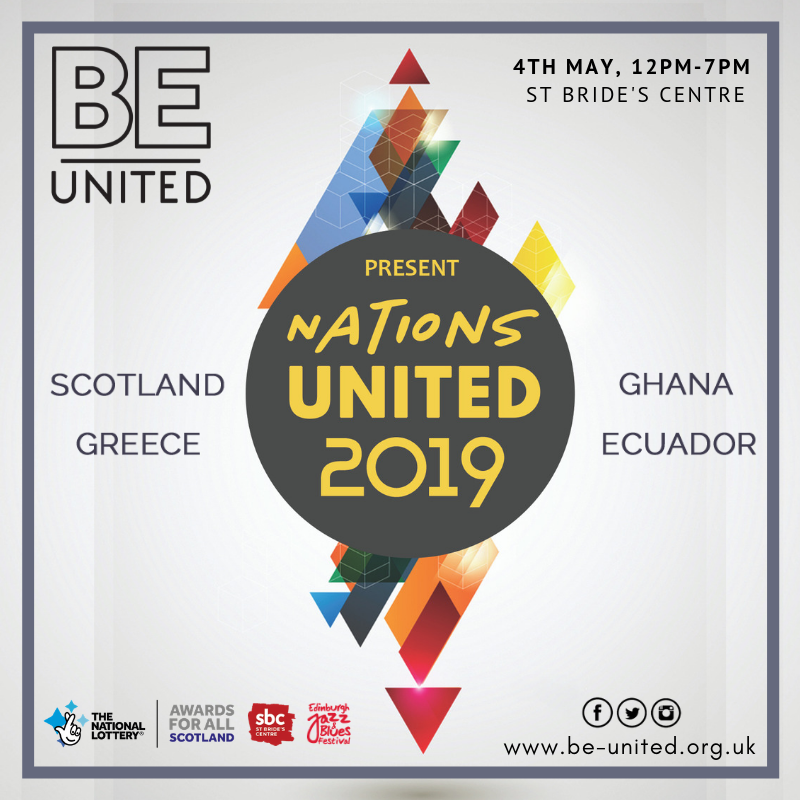 Nations United festival is a cultural journey from Scotland to Ghana, Ecuador & Greece, facilitating the sharing of experiences and outlooks, encouraging a deeper understanding of the diverse communities that make up our city, and celebrating cultural unity in Scotland. Through talks, workshops, dance, live music, exhibitions, food and other activities, we are providing an inspiring, fun and informative environment for spontaneous conversations between people. This year, for the first time, Nations United will feature a market area at the core of our new venue, St Brides Centre. It's the place for the public to discover new flavours, new products, new organisations, to meet and mingle in between workshops, and to spark conversations through the day. Register now through Eventbrite and join at St Brides Centre on Saturday 4th May!